"Merry Christmas made especially for you by:" is how this label reads. 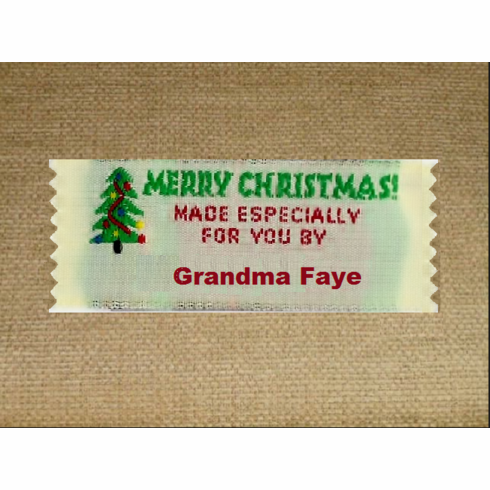 Let us put your name, or the name of a loved one, on this festive label to decorate your homemade garment with. Label 7/8" x 2 1/4" or 22 mm x 57 mm. Click on the picture of the label to make it bigger.